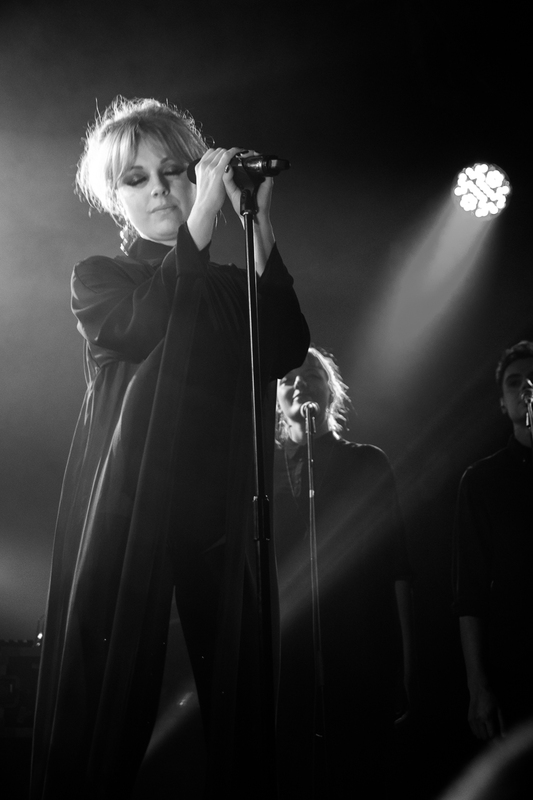 As I wrote last week this was a bit of a sentimental gig for me because it was after seeing Little Boots play the same venue a few years ago I decided to start this blog. So I took myself down to Heaven with a head full of memories. 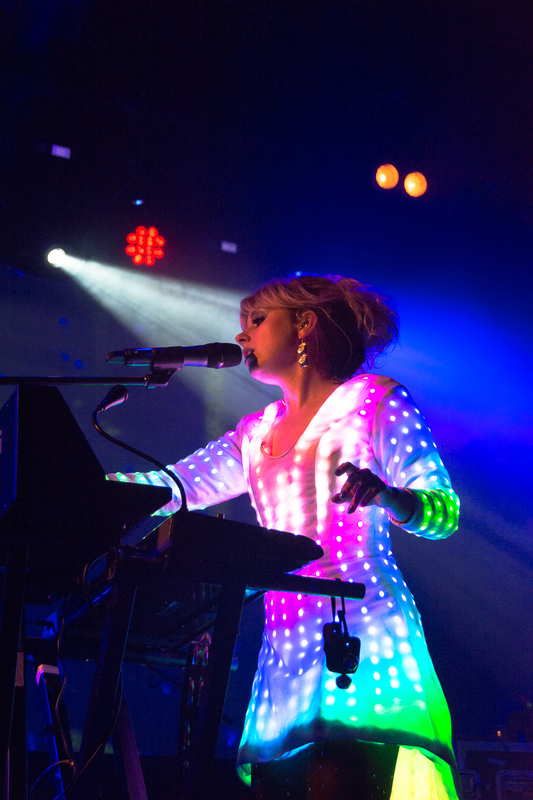 Little Boots didn’t let me down and put on a show every bit as good as the first time I saw her play. The thing I love about Little Boot’s music is the energy and from the first minute she came out on stage you could feel it. The mysterious Motorway was soon followed up by New Town and the crowd was rocking. 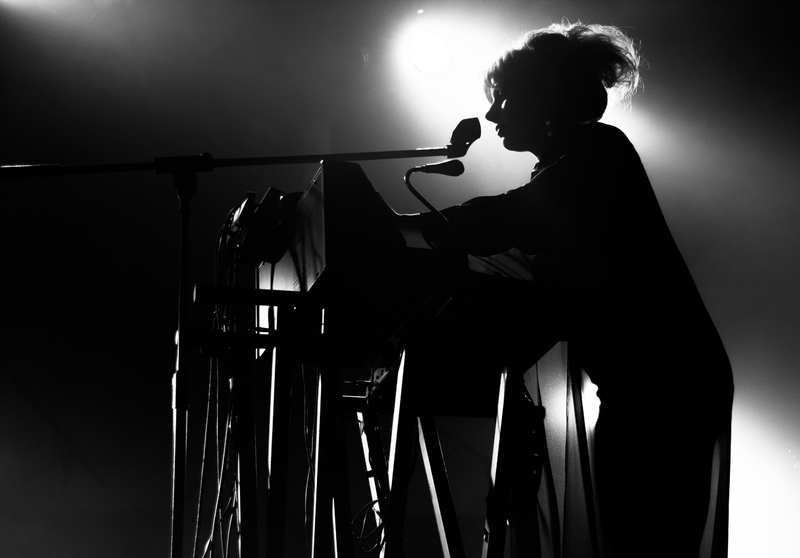 At times she was a like a little wizard on stage, moving between microphone and synth, hitting buttons and playing with knobs to create unsual sounds to layer on-top of the booming sound from her band. The lead in to Stuck On Repeat mid-way through the set was a real tease as she fine-tuned various noises to get the perfect drop, then just let the pulsating record pound throughout Heaven. This show felt like a bit of a celebration as she switched between new and old, Mathematics was a nice feature in the set, apparently winning the old school vote! After disappearing for her encore she returned to the stage in a white dress to sing a breathtaking rendition of All For You. For all the energy, this keys only version stunned the crowd to silence and provided, for me, the highlight of the show. And then the light show began. A flip of a switch and Little Boots lit up like a Christmas Tree! The LED dress was a bit of surprise and took the visual spectacle to a new level. Closing the set with a thunderous rendition of Shake the show was over way too soon (although she had been on stage for over an hour, the time flew!). 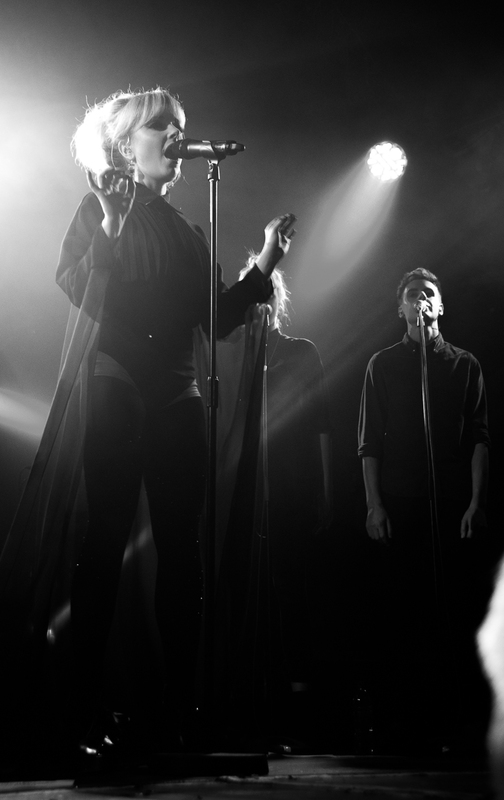 It was a fun show, full of the space-age spectacle and killer basslines I’ve come to expect from Little Boots’ music. Definitely a nice night for reminiscing and motivation to keep blogging. 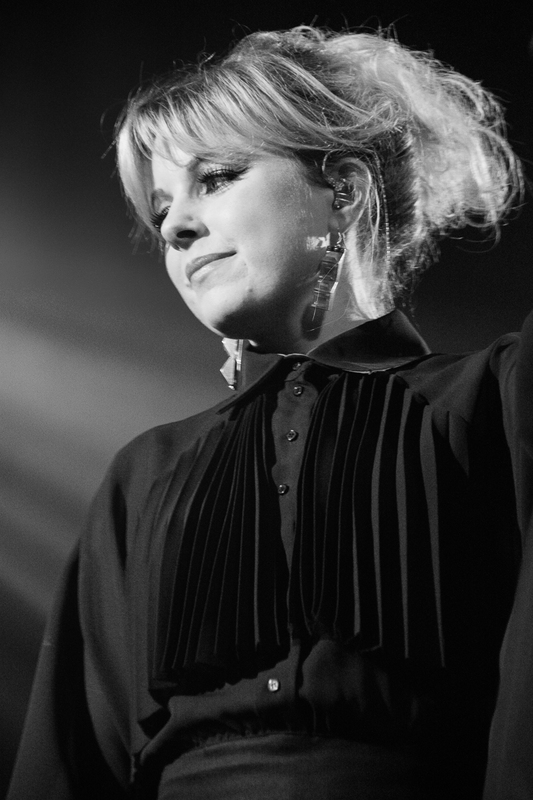 Posted in Gig Photos, Gig Reviews, PhotographyTagged Gig, Little Boots, Live Music, London, Music, PhotographyBookmark the permalink.